Share it! 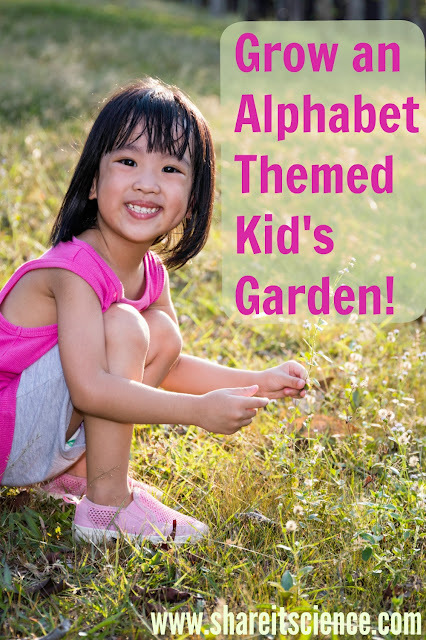 Science : Grow an Alphabet Themed Kid's Garden! A is for Aster and B is for Basil. 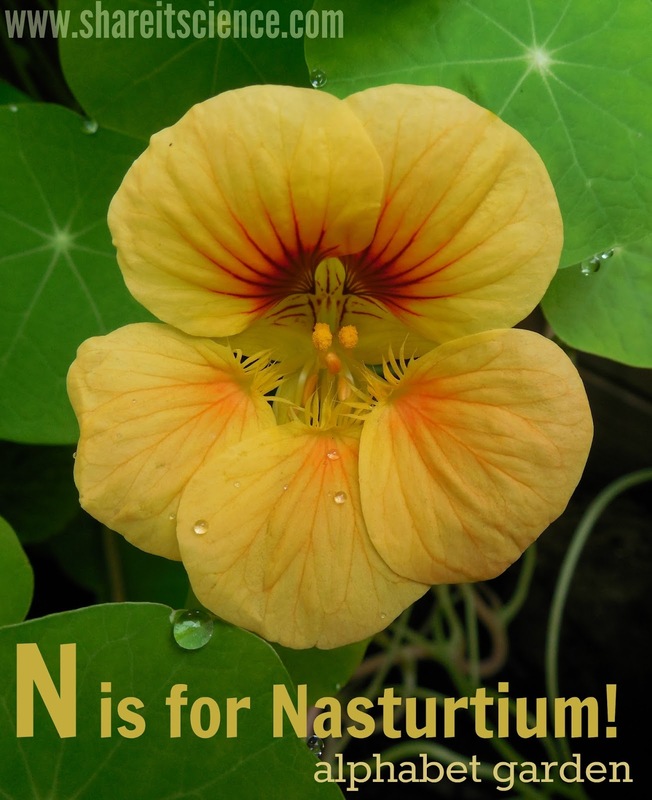 Can you grow an alphabet in your garden? Here are some ideas for a themed children's garden for school or home. Also- read on to find out how you can win some Renee's Garden seeds to get your garden started! 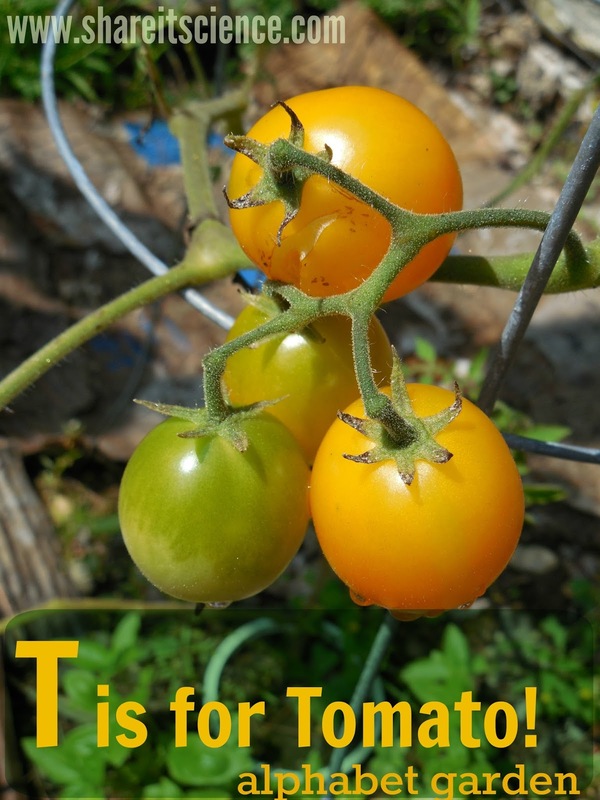 Why not incorporate some literacy into your garden planning this year? Gardening already has so much potential for science and life lessons. This will be the third year we've shared an idea for a themed children's garden along with a seed giveaway. We're so excited to be able to do it again. No matter how you get gardening with kids, we believe it will be a rewarding experience. For those of you with lots of space, you might be ambitious enough to try a garden with every letter of the alphabet. If you are starting seeds in the classroom, you could have each student take on a different letter. Or you could pick and choose from a few letters of the alphabet. Spell out a name with garden plants. If I did mine I might plant Spinach, Artichokes, Radishes, Arugula, and Honeydew to spell out SARAH. You could certainly get creative and use the common names or specific variety names to spell out just about anything you wanted. Make some cute garden markers to go along with your name garden. Looking for other themed garden ideas? Grow a butterfly or rainbow garden. Try growing a taco or pizza garden! Now for some fun. We are very excited to have Renee's Garden provide us with seeds for our third annual garden seed giveaway. 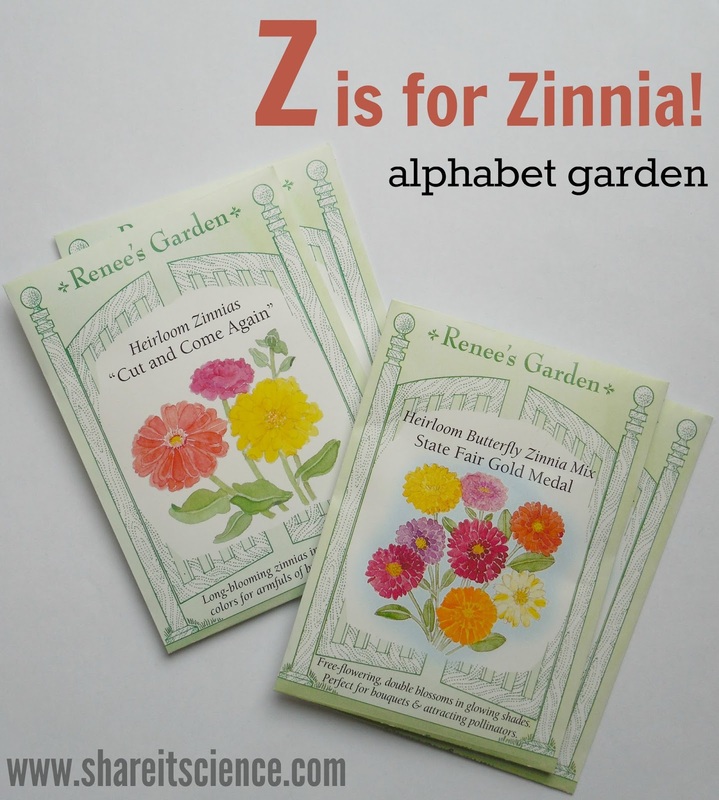 We'll get you started on your alphabet garden adventure with some heirloom "State Fair Gold Medal" and "Cut and Come Again" Zinnia seeds from Renee's Garden seed company. 8 winners will receive two packets each of these zinnia varieties (for a total of 4 seed packets per winner). Enter in the Rafflecopter box below. We'll notify winners by e-mail, so be sure the one you've given Rafflecopter is the best way to reach you! Disclaimer: Renee's Garden seeds donated all prizes for this giveaway, but I was not otherwise compensated by Renee's Garden to write this post.